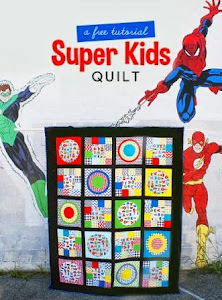 Congratulations on finishing your amazing quilt!! I am so excited to see it progress! Talk about gorgeous! The photo of Nick holding it from the roof really shows how big it is! Ok for the quilting - if it were me, I would quilt inside each dresden 'arm', say 1/4 inch in from the edges, around each heart within the hearts, and for the white background, I would probably either echo quilt outside the dresdens, or just a plain ol' stipple. Actually, a zig zag type of stipple would look fabulous and would match nicely with the dresden points. It is a beauty, that's for sure! 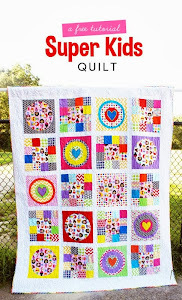 How about backing with a solid and quilting a heart pattern?